Place your order today to ensure your favorite tamales are delivered free to your door this holiday season. They'll arrive steamed and fresh frozen. All you do is heat and serve. Our tamales make great holiday gifts, and you may use this form if your tamale order is a gift. Holiday Bonus-- With your tamale order, we'll include a free copy of our informative and fun ebook, "A Visitor's Guide to Mexico City Street Food." Let recipient know gift is coming. Keep the tamale delivery a secret. Do you know more tamale fans? Please use a separate order form for each tamale gift you'd like us to deliver. Tamale deliveries are free and will be made on select days through January 5th. Please choose the date below that is most convenient for you. We will confirm the timing with you one day before your scheduled delivery. We offer four meat and two non-meat tamale flavors. Made with organic masa, all our tamales are lard and gluten-free. Also, our farmers' market six-vegetable tamale is vegan friendly. Go here for a description of the ingredients in each of our tamales. 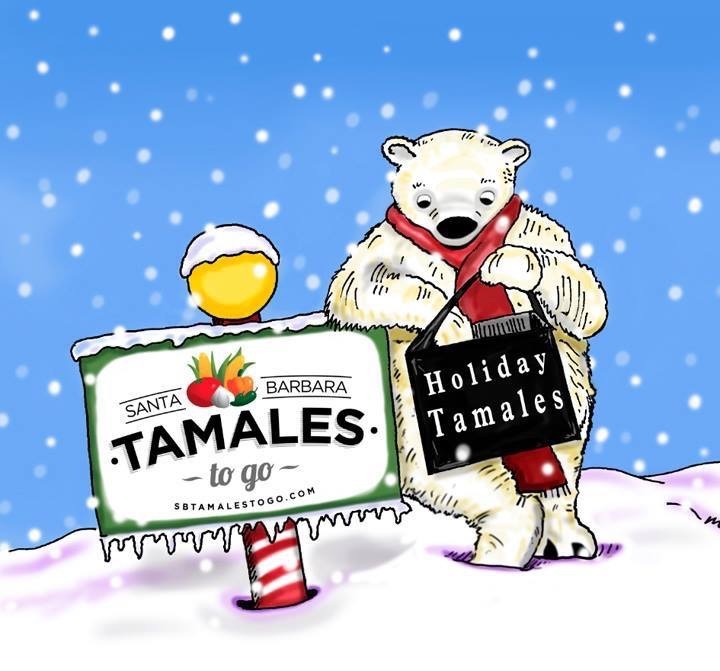 Your tamale orders are delivered free this holiday season, and our service area extends from Carpinteria to Goleta. The minimum order is 18 tamales, and you may mix and match the flavors. Your order will be confirmed by email when it is placed. If you have questions, please contact us at info@sbtamalestogo.com. We accept Visa, MC, Amex, and Discover cards.